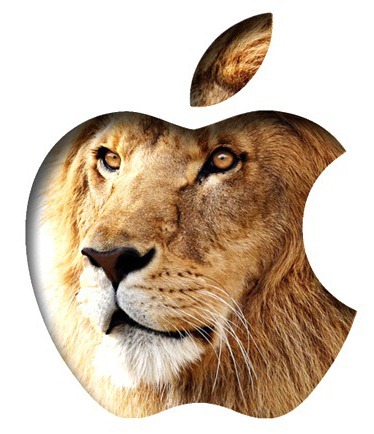 Most OS X Lion users would already know; Apple released the 10.7.1 update for the said operating system one week ago, which contained general bug fixes and performance improvements. Now, Apple is making sure all new Lion users immediately get the updated operating system by updating its installer on the Mac App Store. The OS X Lion 10.7.1 update included several updates to many of the system’s components, in order to address several users early adopters were experiencing, including some serious ones. Many users had, for example, experienced several issues connecting to certain Wi-Fi networks, which have been addressed in this update. There was also an issue that prevented data to be transferred from certain older Macs to newer ones, which could have certainly be a problem for new Lion users. Thankfully, new users of the operating system won’t have to install the 10.7.1 update to enjoy the benefits, since it has been integrated in the OS X Lion installer on the Mac App Store, much like similar updates to older Mac OS X systems. This will allow new users to immediately be up and running once they’ve finished installing Lion, since there won’t be any extra steps to take. 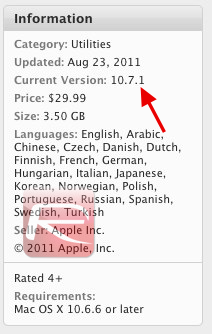 Apple has also updated Lion’s server components, also available on the Mac App Store for $29. This bundle of applications, which before Lion was sold as part of a whole new Mac OS X edition known as Mac OS X Server, includes additional features designed specifically to turn a Mac into a full-fledged server. Much like the 10.7.1 update for Lion itself, this point-release included several bug fixes that had plagued the system’s early adopters. OS X Lion is the first version of Mac OS X that isn’t being distributed using optical media. Instead, users are encouraged to download a packaged installer from the Mac App Store, reducing installation times and deployment costs. The downloadable copy is available to all Mac OS X Snow Leopard users for $29, yet those who might not be able to obtain the system through these means can purchase a bootable USB drive with all the needed installation files for $69, which is still lower than the price of most previous Mac OS X releases, $129. Lion was released just over one month ago with the goal of bringing the best attributes of iOS to the Mac.